recommended for: Fans of high fantasy, Sarah J. Maas, Tamora Pierce, and Laini Taylor. Teens who like adventure, action, and realistic, non-annoying romance. will i continue the series? : I'm dying for book three. Give it to me now! A breathtakingly intense high fantasy that brews together politics, magic, and romance into a satisfying potion. A sequel truly worthy of and surpassing the original. My feelings about this book can be summed up in one word: Sturmhond. I'm only partially joking. This sequel features the best of Shadow and Bone with higher stakes, new key players, and the enjoyable kind of drama. 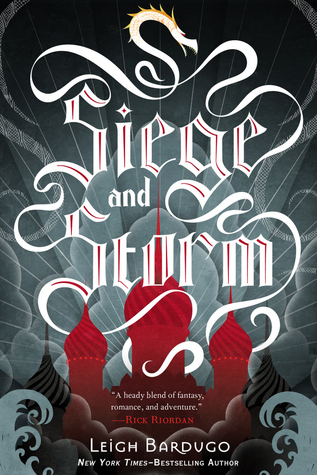 Bardugo shows her hand in the worldbuilding department with a slew of fairy tales and political blow-ups that add richness to her already-layered world. It slots in perfectly with seemingly nonstop, breathtaking action, whether it's battles at sea, subterfuges at court, or daring escapes. Alina remains the insecure, somewhat naive girl we met before, but she emerges on these pages with new strength, greater sense of purpose, and more complexity than ever before. Her changing relationships with Mal and the charming prince Nikolai add some heat to the chilly Russian winter without being desperately annoyingly angsty, while her new friendships and alliances amp up the intrigue. There were twists that caught me off guard, moments of tearfulness and frustration, and plenty of laughter, all veneered in Bardugo's spotlessly gorgeous prose. A must-read for any high fantasy fan. Did I say there was too much sitting around in Shadow and Bone? Bardugo heard my plea. Retroactively, clearly, since I read Siege and Storm mere days after finishing the first. Siege picks up with Alina and Mal on the run--but unable to keep Ravka and the Darkling from sucking them back in. Enter Sturmhond the privateer and his crew, hired by the Darkling to capture Alina and make sail for a magical secret deep in the north. Did I mention epic sea battles? The action and intrigue are constant, woven seamlessly with a few chances to breath before Bardugo rips you in another direction. I felt as tense as Alina while I journeyed with her back to the palace and the Grisha. I wondered at the true motives of the mysterious Sturmhond and the seemingly noble prince Nikolai, and I wanted to slap both her and Mal on various occasions for being perfectly wretched to each other in tragically believable ways. Brewing beneath the relationship drama is the threat of the Darkling, who is less present in this book but ever shadows the pages with his influence. On the less magical side, the political strife between princes, king, and religious cultists adds further complications to Alina's already impossible task. It's a real seeming conflict, something a little lighter than Game of Thrones but nearly as tangled and just as thrilling. So, mages in Russia. Still cool. Now we have privateers and princes too? Score! Bardugo raises the stakes in book two with a deeper investigation into the political turmoil caused by the war. With the Darkling's power vacuum comes unrest in the Grisha and distrust between Grisha and the common soldiers. Behind the scenes, the Apparat has styled Alina as a sun saint and raised an army of cult worshipers in her wake. On the throne, the king grows weak and his sons squabble for power while the north and south kingdoms chip away at Ravka's borders. Everything is poised in this book, quivering-ready to collapse from within at the slightest provocation. Bardugo uses these situations to explore tricky questions about power, leadership, and truth--and underneath it, the lives and loves of the people torn up in the wake of these moving mountains. Sturmhond. Sturmhond. Um, yes. More, please. This dashing privateer won my heart instantly with his Westley-esque charm (The Princess Bride, anyone? I definitely imagined him as a young Cary Elwes), witty banter, and impossibly shifting motives. Also on my list of loves is prince Nikolai, wayward puppy of the realm and younger son, desperate to save his country whether it requires seducing a Sun Summoner or ousting his boorish older brother. Ever charming and adorably noble, Nikolai reminds me very much of Dorian from Throne of Glass, another of my favorites, but with his own self-assured flair. Other newbies Tolya and Tamar, twin guards at Alina's side, are mysterious in an intriguing way; likable, but shadowy. As for our oldbies, Alina has begun to come into her own while simultaneously falling apart form within. She's more assured of her cause then ever, but her struggles with the price of her position are sympathetic and give her character complexity. Much of this book is about the struggle for middle ground between uncontrollable power and weakness, between love and duty. The struggle is equally alive for Mal, who is as insufferable as Alina in parts but also righteously troubled over the changes in his love. Even some of the side characters like Zoya show new colors. Everyone just seems to be grayer and more interesting in this book. 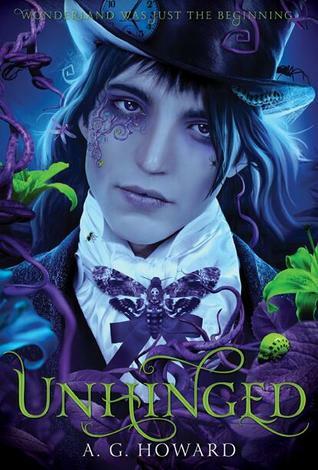 I loved Bardugo's style from the start. It only seems that she's matured here. She still shows up with her pretty metaphors and snappy, darkly humorous narration, but in a way even richer than before. She also won my heart with her dialogue. The banter between Alina and Sturmhond and Alina and Nikolai will be engraved on my mind forever. It's rare that I actually laugh so audibly while reading a book. She's also great at shifting the pacing to create and ease tension when needed. It's a breakneck read. Now that her readers are more familiar with the Russianized culture of Ravka, Bardugo takes the opportunity to enrich her world with new myths and intrigues. I only wish that some of the information had been better foreshadowed in book one. There were moments, sure, but some of the plot points (particularly around the magical animals in this book) felt a little thrown in, to me.